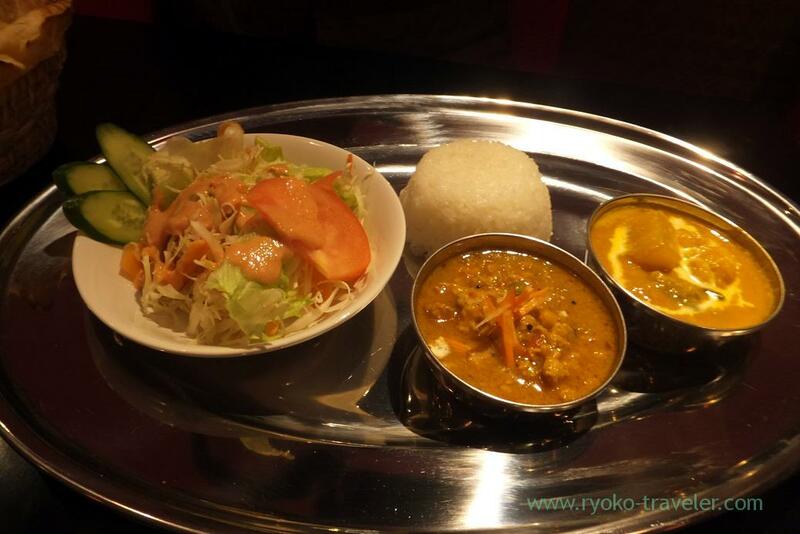 Just one Nepali foods restaurant is open in Motoyawata area. 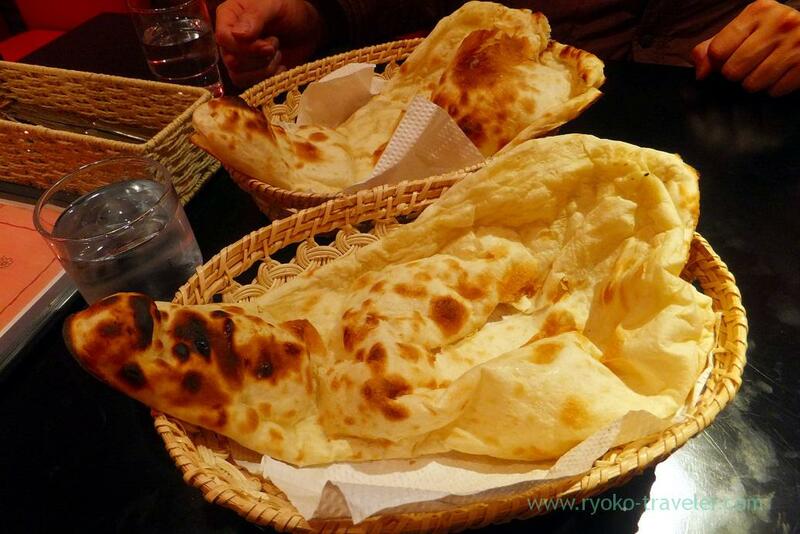 I heard the good news that awesome restaurant named Sansar in Koiwa was open their new branch in Motoyawata. And I went to there soon ! 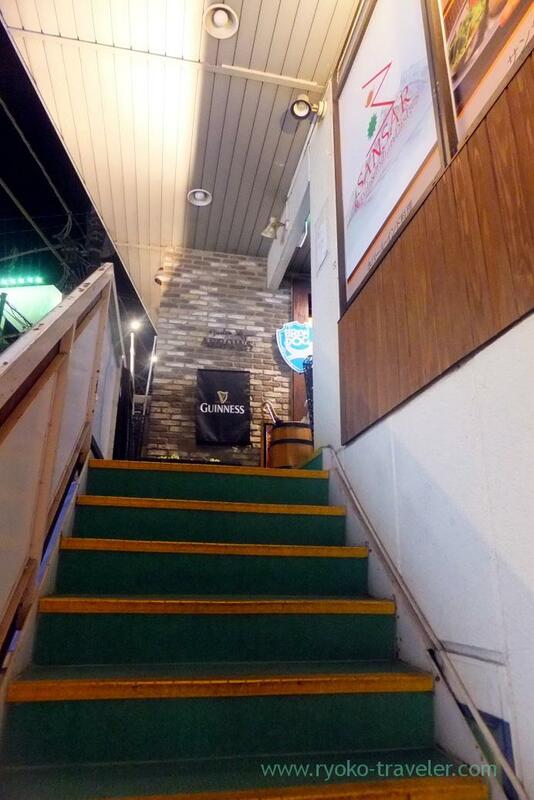 It stands along the street in front of northern gate of JR Motoyawata station that I often go. 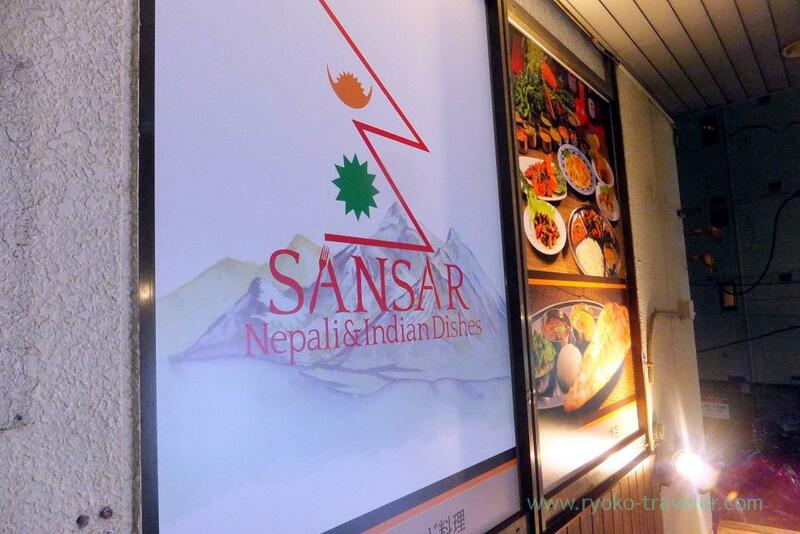 Though Sansar is Nepali foods restaurant, but they serve Indian foods mainly because Indian foods is more popular among people than Nepali foods. 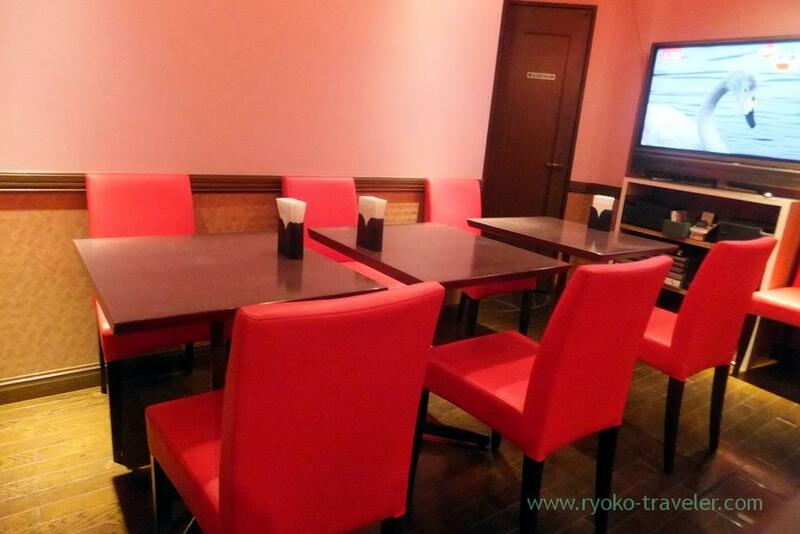 We order Sansar dinner set (サンサールディナーセット, 1500 yen). 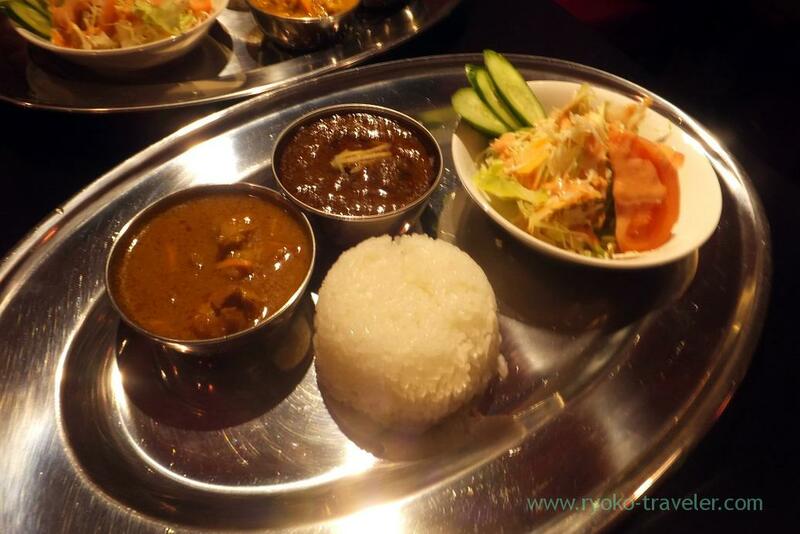 The set have two curries and we can choose two from chicken curry, vegetable curry, mutton curry and today’s curry. 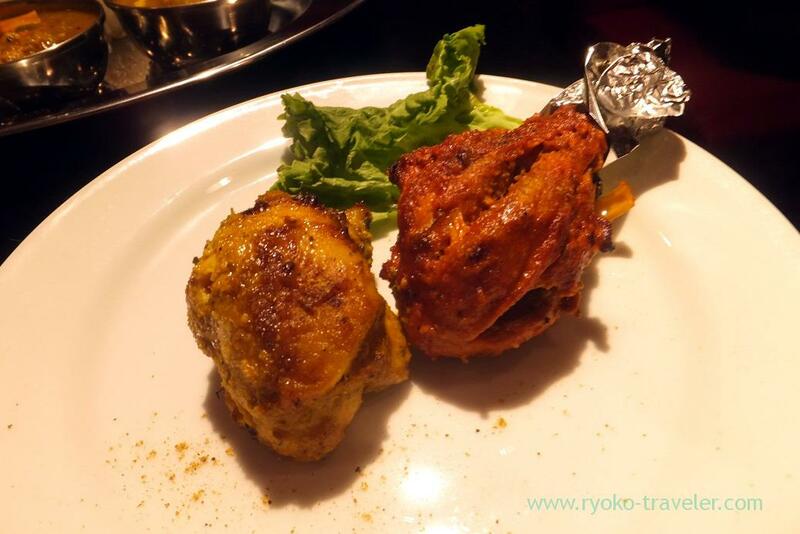 This dinner set have tandoori chicken and chicken tikka. So spicy ! Ah, Sansar’s curry is delicious all the same. There’re not many foods on the menus yet and they’ll try to update their menus.